Miles declared his gear to Total Guitar magazine during an interview in the February 2013 issue. In this photo, which shows Gallagher's pedalboard from 2016 tour, the ZVex Box Of Rock is visible. According to Ben Gibbard in this Premier Guitar Rig Rundown, the Death Cab for Cutie guitar player uses a ZVex Box of Rock. "This stays on all the time," Gibbard said at (16:35). According to the "artists" section of ZVex's website, Bazan uses the Box of Rock distortion pedal. From Tone King video, explaining his effects setup as a guitarist instead of bassist for Marilyn Manson. Posted in [Strymon Artist Feature](http://www.strymon.net/tag/brynjar-leifsson/). You can see the Strymon Timeline and Big Sky pedals as well as the Digitech Whammy and the Zvex Box Of Rock. According to Premier Guitar's rig rundown, Vile uses the ZVex Box Of Rock. In the source, which is a tour gear abridgment, it's seen that he uses the Zvex Box of Rock. ZVex Box Of Rock was featured in his "gear list" during the 2015 Premier Guitar rig rundown. 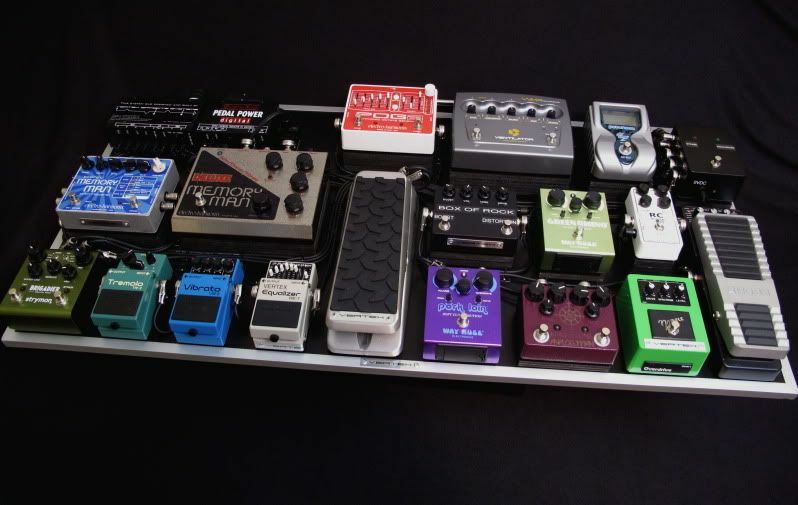 According to photo of his pedalboard, 1st pedal from the left is ZVex Box Of Rock, judging by the knob position. 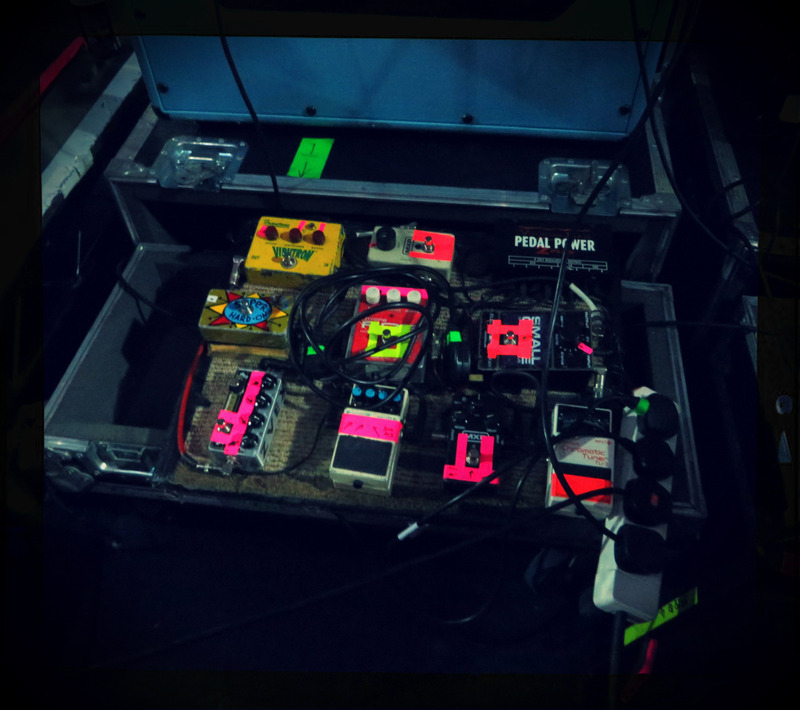 This photo from an [effects bay article](http://www.effectsbay.com/2011/08/kevin-shields-my-bloody-valentine-pedal-boards/#prettyPhoto_) displays a Zvex Box of Rock on the pedal board of Kevin Shields from [My Bloody Valentine](http://equipboard.com/band/my-bloody-valentine). Around 18:26 in this video, Dave mentions his Zvex Box of Rock, saying, "Of non-sampling pedals it's probably my favorite pedal. I just love the clean boost. It adds sparkle to both my amps." 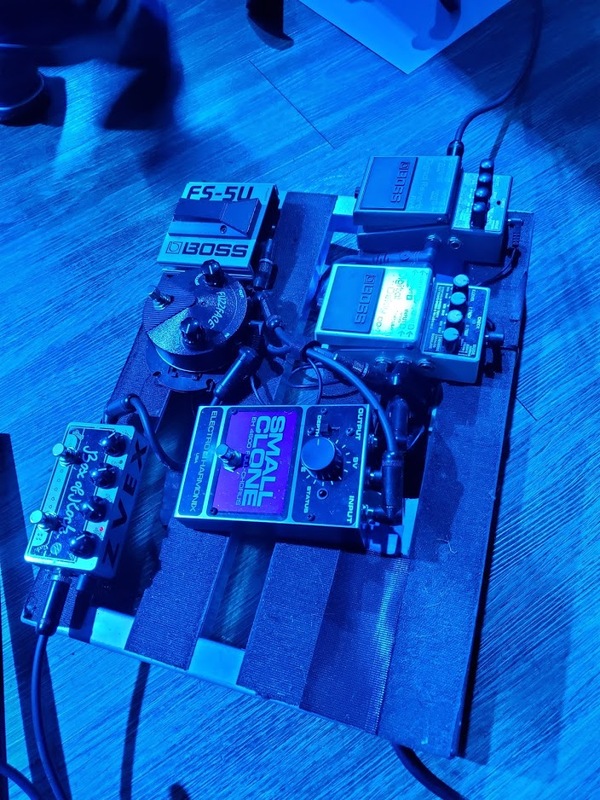 A ZVex Box of Rock can be seen in the lower left corner of Keith Murray's pedalboard, which he says is his main distortion pedal. From [an interview where he discusses his pedals](http://images.equipboard.com/uploads/source/image/34972/uhXGb4d.png): > Into a–I’m not done answering this one! Into a Z-VEX Box of Rock, which is the primary distortion pedal, into a Z-VEX Super Hard-On. **EDIT June 2016:** From an [email exchange with Keith Murray](http://images.equipboard.com/uploads/source/image/36348/GU1NHzQ.png), he says, "the Box of Rock always has the boost channel on (and the distortion channel is almost always on and cranked to maximum distortion at all times)." Stephen's distortion pedal. Photo taken at Copeland's show on 11/23/16 in Seattle. "Justin Pierre of Motion City Soundtrack showing off his new Box of Rock". 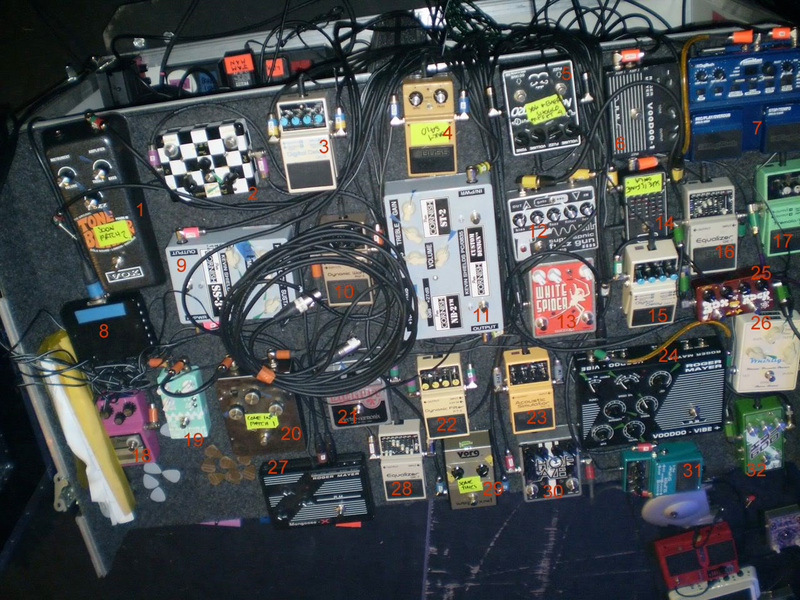 In this photo, which shows Travers' board from 2007 Cologne concert, the ZVex Box of Rock can be seen. In this Music Radar [article](http://www.musicradar.com/guitarist/guitarist-photo-diaries-the-butterfly-effect-@-bristol-academy-2-11-5-2009-244314/) about The Butterfly Effect's live performance at the Bristol Academy in 2009, a photo of Kurt Goedhart's pedal board shows his ZVex Vexter Box of Rock Distortion guitar effects pedal. In this video at 0:14, Shara Worden's pedal board displays a ZVex Vexter Box of Rock pedal on the bottom row. He says he uses the ZVex Box of Rock at about 2:10 in the video. 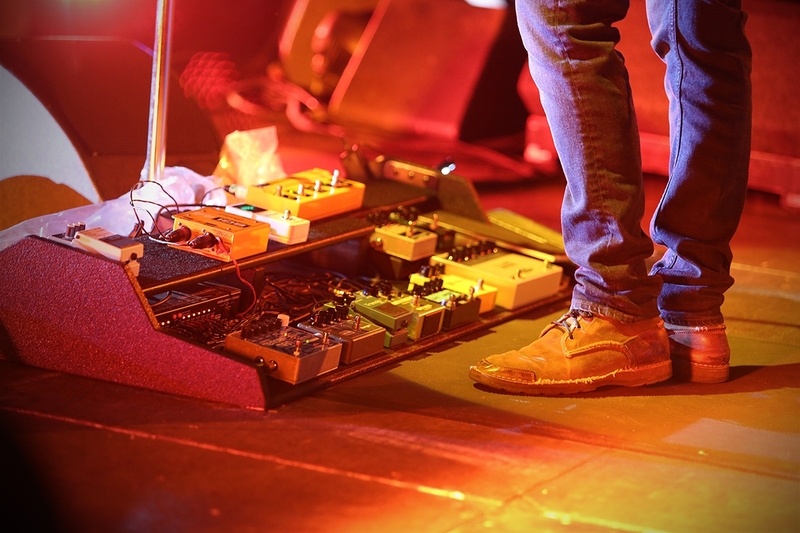 On this photo you can see something that looks like a ZVEX box of rock pedal on Blake's pedalboard. 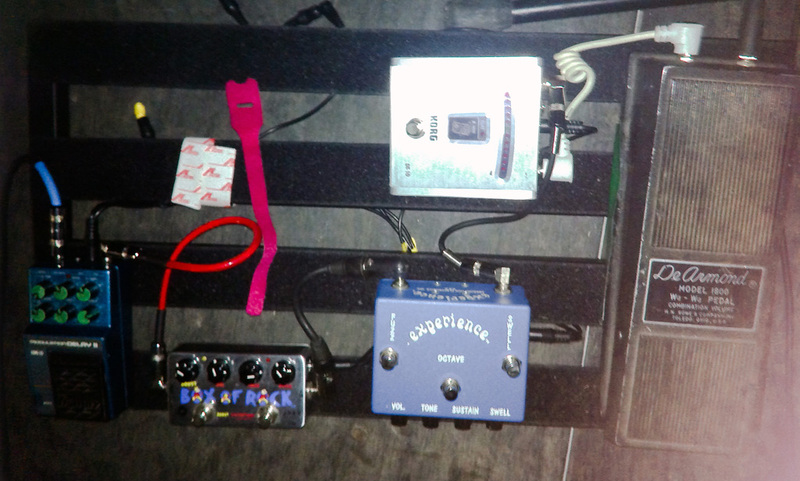 According to this gear photo, which is found under [Denander's gear photos](https://tommydenander.se/photos/gear.html), one of the pedals is the ZVex Box of Rock. In this instagram pic, Lance shows the pedals he's using for new tracks. According to Premier Guitar, Vaden uses the ZVex Box Of Rock pedal. I asked Cory about pedals on Instagram and this is what he said about dirt pedals on Ganglion Reef and Plum: "There's no fuzzes on Plum! Not a single one. I used a box of rock for most of it... and a Ross compressor always on. On ganglion Reef I used one of those little silicon fuzz face minis. They rule! Need to pick one up again. I love them"
Visible in this Instagram photo. In this photo, which actually comes from [Vertex Effects website](https://www.vertexeffects.com/blog/vertex_tom_bukovac_pedalboard_2), which are the builders of his pedalboard, one of the pedals that can be seen in the board is the rehoused ZVex Box Of Rock. When asked about his gear and what he would recommend, he replied that he uses Zvex Box of Rock on Facebook. In this photo of Jimmy's pedalboard, you can see his Zvex Box of Rock distortion pedal. This is a really good pedal,i like the boost. But it's a strong personality hard to control ! agreed, I had one of these as well as a distorton and enver managed to get them to behave with my rig at the time. More of a bedroom pedal. It did really great with the little tweed Gibson I owned at the time getting a tweedy tone at night-time levels. Otherwise a cool sound that still seems wrong no matter how you twist the knobs. @jimmarchi1I actually use it with an Ibanez TS9. I can control hight-medium frequency and i finaly found what i want ! This thing is almost too thick on the low end. I wish it had a low cut. Thats my only critique. This pedal is as outstanding as fulltone ocd and pro co rat. It's just a versatile pedal that can go from subtle drive to huge crunchy distorted sound and has transparency to it. it cleans up really well. love it every bits. Amazing clean boost. I don't even use the distortion but it makes everything sound better pre or post. Jcm 800 in a box! My powerful and favorite overdrive!